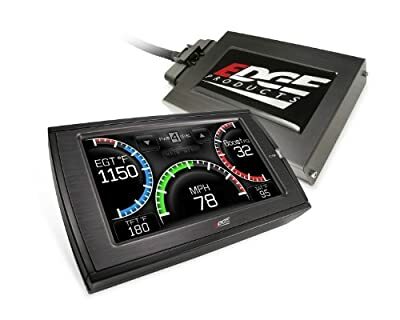 Competitive Edge Products, Inc is delighted to offer the famous 31100 Edge Products 31100 Juice with Attitude CTS for Dodge 5.9L. The Juice with Attitude for Dodge is a power module that provides an in-cab display of exhaust temperature, turbo boost, and engine temperature. By easily connecting to your existing harness under the hood, this power module is very easy to install. With a 4.3 inch high resolution screen, you can keep track of your vehicle with the touch of a button. 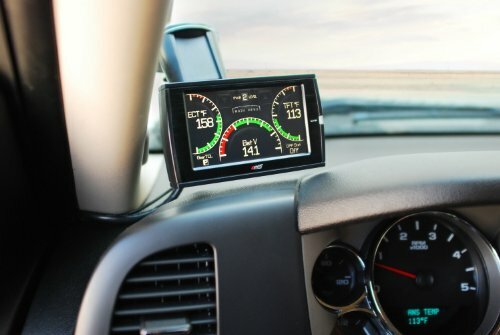 The custom mileage alerts will allow you to re-fuel when it's best for you. The adjustable power levels and engine transmission defense are built in functions to optimize your vehicle's capability.